SnapChat is one of the most popular social networking platforms for sharing temporary messages and media with your friends and family. But sometimes, you may wish to retain some of the snaps and save them to your iOS device. A few SnapChat tweaks make it possible to save Snap stories and remove some of the limitations imposed in the official app. 4 Are SnapChat Phantom and SCOthman Snap safe to install? Keep Snaps in your feed and mark them as read whenever you want. Save all your sent media in Snap log. Save received photos to Camera Roll, specific photo album or password-protected folder. Advanced Notification settings, and much more. This is a tweaked version of the original SnapChat app with special features including the ability to save SnapChat Stories, permanently keep Snaps and chats, upload media from gallery, watch Stories privately (Incognito mode), disable discovery, spoof location, apply custom filters, 50-second video recording (instead of 10-second limitation), save media to custom album in Camera Roll, and many other features. If you’re a regular SnapChat user, you’ll certainly find these tweaks from both the apps useful. Neither SnapChat Phantom, nor SCOthman Snap is available on the App Store, so ideally you would need to jailbreak your iOS device to install apps from external sources, such as Cydia. But thanks to Build Store, you don’t have to jailbreak your device just to install an app that is not on the App Store. Build Store is a third party app store, which contains apps that are either unavailable, or have been removed from the App Store. And with a $9.99 / year per device subscription, you can install these apps on your registered iOS device, without having to jailbreak it. Both SnapChat Phantom and SCOthman Snap are available on the Build Store, and so, you can install it from here directly on your non-jailbroken iOS device, without using a computer. On your registered iOS device, open Safari and navigate to the SnapChat Phantom or SCOthman Snap app page. The selected app will be installed on your registered iOS device. 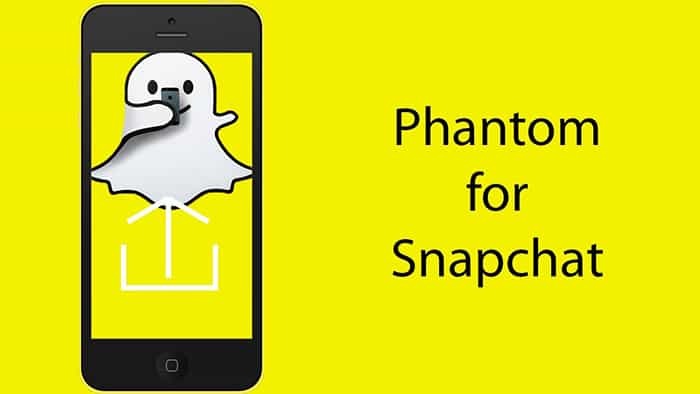 Note: SnapChat Phantom requires the original SnapChat or any of its tweaks to be installed on the device. Are SnapChat Phantom and SCOthman Snap safe to install? Disclaimer: The article is only intended as a knowledge base for installing SnapChat Phantom and SCOthman Snap on non jailbroken iOS devices. 7labs may not be held responsible for any violation of the terms and conditions, as laid out by the original app developers.